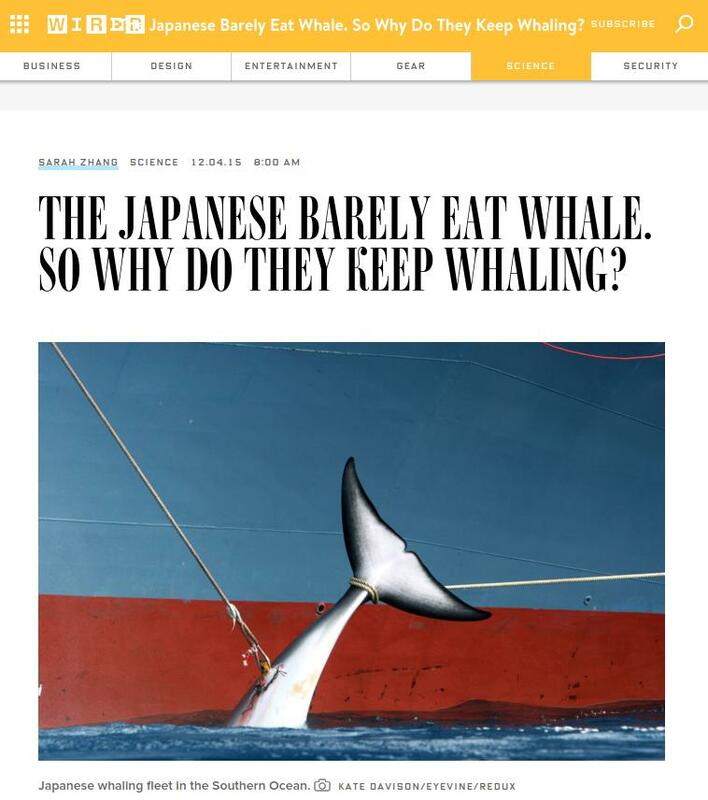 Given how Japan has twisted itself into knots to justify its whaling and how much international flack it’s getting, you might conclude whale meat is a hugely important part of Japanese cuisine. Nope. Small-scale whaling is traditional in some parts of Japan, but whale meat was only ever popular in the postwar period. So for older Japanese, “this is like nostalgia food,” says Katarzyna Cwiertka, a Japanese studies professor and author of Modern Japanese Cuisine: Food, Power and National Identity.